How will you feel when you finally pay off all your student loans? Just imagine the relief of seeing your student loan balance hit zero! If you’re strategic about student loan repayment, that glorious day could be sooner than you think. By paying off your debt early, you could save thousands of dollars in interest. So how can you take a more effective approach to repaying your student loans? Consider these six tips for paying off your student loans early. When you first choose a student loan repayment plan, you agree to a set number of years and monthly payment. But there’s no limit to how much you can pay per month and most loan servicers don’t charge any fees for paying off your loans early. Let’s say you took out $30,000 in student loans at a 5.7% interest rate. If you chose a 10-year repayment plan with no deferment period, you’d have a monthly payment of $328. Here’s what would happen if you paid just $40 more a month. You’d pay your loans off in 8.7 years and save approximately $1,400 in interest, according to this student loan repayment calculator. Not bad for setting aside only an extra $10 a week. What if you could manage to pay $100 more a month? You’re looking at 7.2 years of repayment and approximately $2,800 saved in interest. To stick to your prepayment goals, set up automatic payments. Not only will you never miss a payment, but most lenders also offer a 0.25% interest rate discount for it. If your budget is too tight, you can still make an extra payment here and there. Whatever extra money you can throw at your student loans now will shorten your repayment term and save you money in the long run. Another way to pay off your debt fast is through student loan refinancing. When you refinance student loans, you combine your private and/or federal loans into a single loan with a new lender. If you have a good credit score (generally between 700 and 749) you have the best shot at being approved and getting a lower interest rate. Reducing your interest rate even one percentage point will help you save money and ultimately pay off your student loans early. And if you use those freed-up funds to make extra payments, you can rid yourself of student loans before the term is officially up. However, be careful not to tack on extra years to the life of your loan. Lengthening your repayment term will probably cancel out the savings from a lower rate. Also, note that refinancing federal student loans with a private lender means you lose access to certain programs and benefits. Your federal student loans will no longer be eligible for federal forgiveness programs, income-driven repayment plans, and deferment/forbearance. If you’re worried about your income or want to pursue student loan forgiveness options on your federal loans, refinancing isn’t the best option for you. If your job is secure and you just want to pay off your student loan debt as quickly as possible (or all your loans are private, to begin with), refinancing your student loans could be a smart move. Reducing your cost of living will free up more money for your student loans. If you’re struggling to pay rent, consider roommates or moving to a cheaper location. If you spend a lot on eating out or going to concerts, use budget-tracking apps such as Mint and Level Money to take control of your budget. Along similar lines, be mindful of your student loans if you land a higher salary. It’s all too easy to increase your cost of living when you raise your income. But if you can maintain your frugal habits, you can use the difference to pay off your student loans as early as possible. When you receive a cash windfall, it’s tempting to use it for shopping or vacation. But if you’re serious about paying off your student loans early, apply that windfall toward your student loan balance. Your annual tax refund could also go a long way. In 2016, the average tax refund was $3,120. If you don’t have other debt, like credit card debt, consider putting your full refund straight toward your student loans. In an effort to attract millennials, many companies now offer student loan repayment assistance. With this workplace perk, employers match part of your student loan payments, just as they would a 401(k) contribution. So if you’re job hunting, prioritize companies with this great benefit. If you’re in negotiations, ask Human Resources about the possibility of student loan assistance. A company that is serious about hiring you may heed the call for help with your student loans. There are dozens of federal and state programs that award student loan repayment assistance. To qualify, you typically need to work in a certain occupation, such as teaching, medicine, or law. You also need to commit a minimum number of years to working in a high-need area or critical shortage facility. Some programs cover part of your loans, while others forgive 100 percent of the balance. It’s a win-win: you’ll receive student loan assistance while making a difference in the lives of others. For more information, check out this tool that features more than 120 student loan repayment assistance programs. Paying off student loans as early as possible is a worthy goal. Not only will you get out from under the shadow of debt, but you’ll also save money on interest. Be sure to weigh the pros and cons of paying off your student loans early. For instance, if you have high-interest credit card debt, that should likely be your top priority. If you haven’t started saving for retirement, contributing to a retirement plan is also an important financial step. As with most money moves, the best approach depends on your specific circumstances. By making thoughtful choices about your student loans, you can successfully free yourself from student loan debt once and for all ahead of schedule. This article was written by Rebecca Safier, a writer at Student Loan Hero. 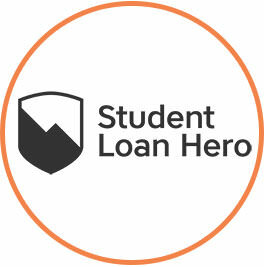 Student Loan Hero, Inc. is an educational website helping 150,000+ borrowers manage and eliminate over $3 billion dollars in student loan debt. They're on a mission to help 44 million Americans manage their student loans smarter.